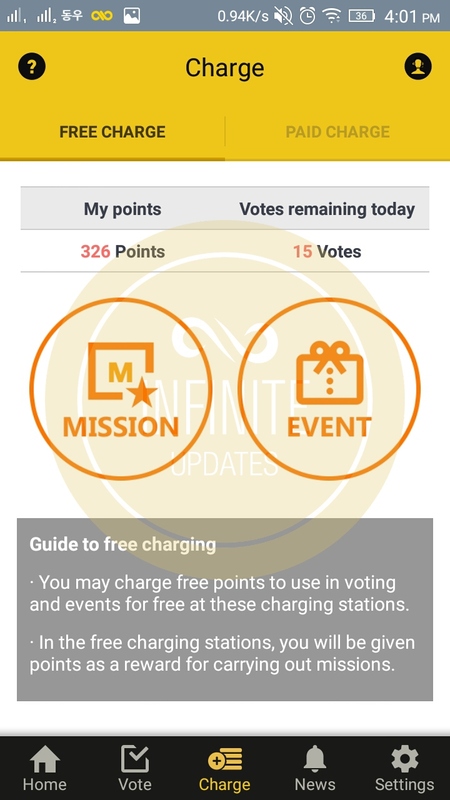 Click "CHARGE" at the bottom of the screen to get points to vote. 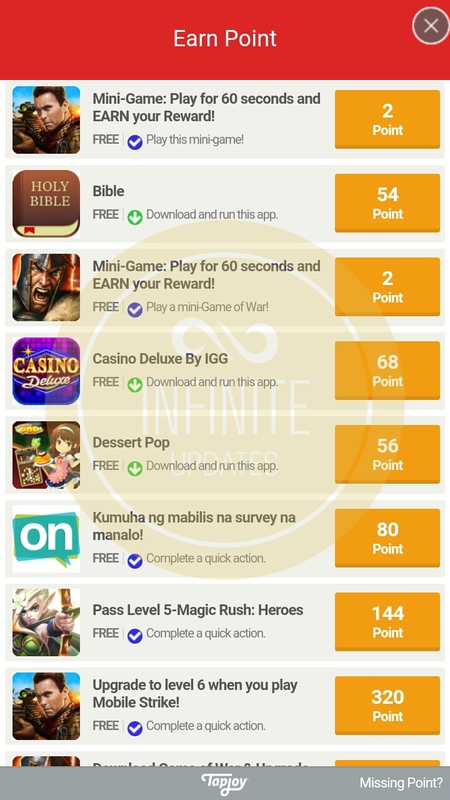 Click MISSION to get FREE points. 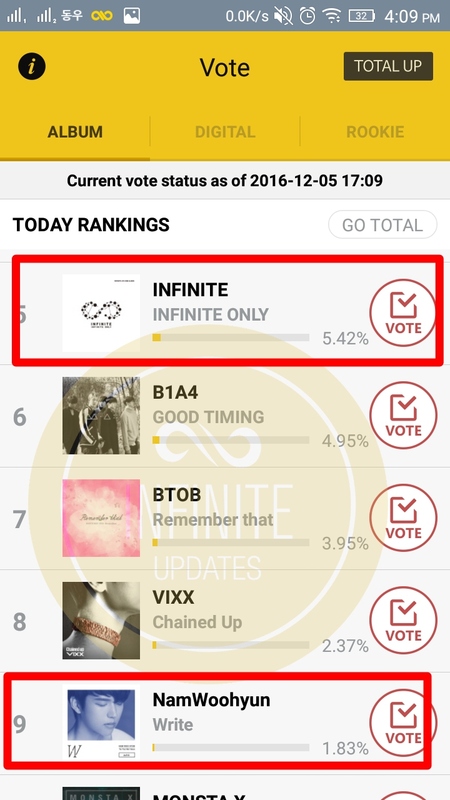 There are different ways to get points. 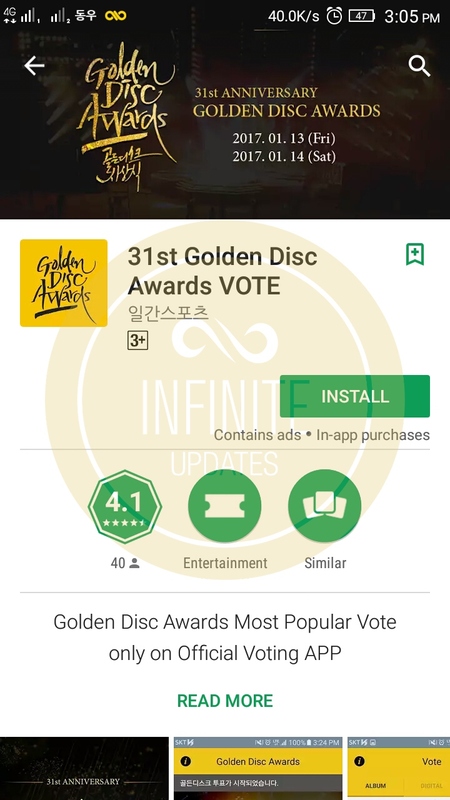 The "Download and Run this App" apps give you points by just downloading and running the app, but the points they give won't be enough (1 vote - 200 points). The "Complete a quick action" apps give you higher points but the tasks are difficult to accomplish. 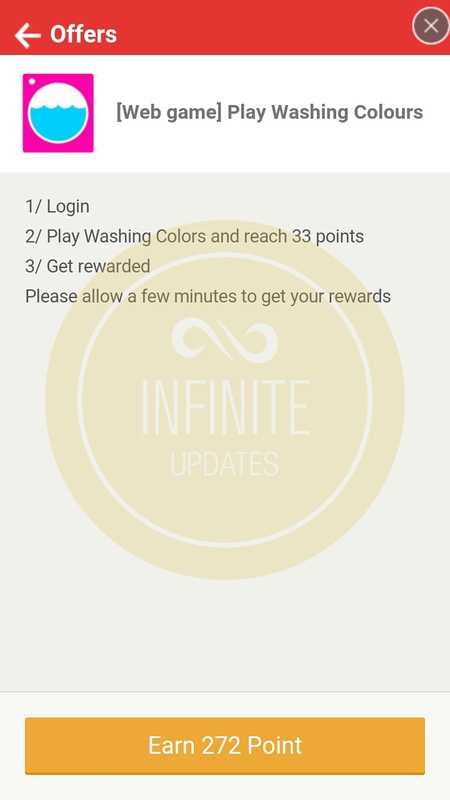 *I downloaded the FREE BIBLE for 54 points and played [Web Game] Play Washing Colors for 272 points. *When you click "Complete a quick action" app it will show you the mission you have to do. 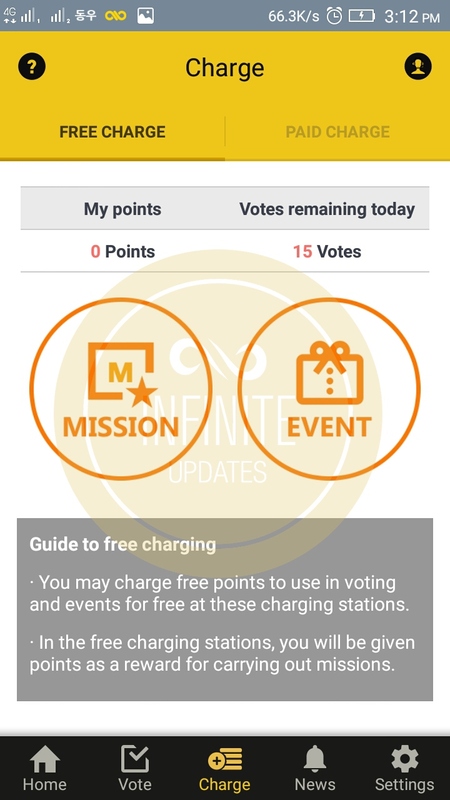 Go Back to "CHARGE" to check if the points have been credited to you account.